Multi-target and combinatorial therapies have been focused for the past several decades. These approaches achieved considerable therapeutic efficacy by modulating the activities of the targets in complex diseases such as HIV-1 infection, cancer and diabetes disease. Most of the diseases cannot be treated efficiently in terms of single gene target, because it involves the cessation of the coordinated function of distinct gene groups. Most of the cellular components work efficiently by interacting with other cellular components and all these interactions together represent interactome. This interconnectivity shows that a defect in a single gene may not be restricted to the gene product itself, but may spread along the network. 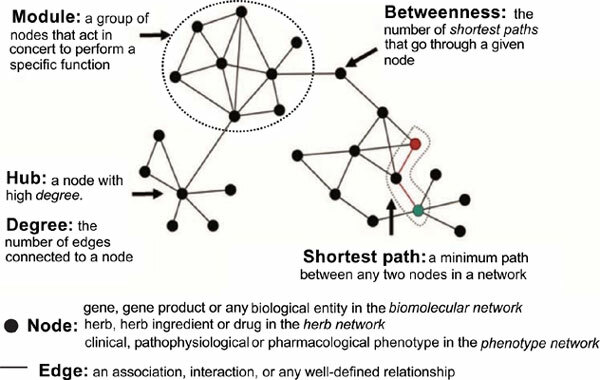 So, drug development must be based on the network-based perspective of disease mechanisms. Many systematic diseases like neurodegenerative disorders, cancer and cardiovascular cannot be treated efficiently by the single gene target strategy because these diseases involve the complex biological machinery. In clinical trials, many mono-therapies have been found to be less effective. In mono-therapies, the long term treatment, for the systematic diseases make the diseases able to acquired resistance because of the disease nature of the natural evolution of feedback loop and pathway redundancy. Multi-target drugs might be more efficient. Multi-target therapeutics might be less vulnerable because of the inability of the biological system to resist multiple actions. In this study, we will overview the recent advances in the development of methodologies for the identification of drug target interaction and its application in the poly-pharmacology profile of the drug. Keywords: Network pharmacology, Multi-target virtual screening, Drug-target interaction, Chemical-protein interactome, Traditional chinese medicine, Side effect similarity. Keywords:Network pharmacology, Multi-target virtual screening, Drug-target interaction, Chemical-protein interactome, Traditional chinese medicine, Side effect similarity. Abstract:Multi-target and combinatorial therapies have been focused for the past several decades. These approaches achieved considerable therapeutic efficacy by modulating the activities of the targets in complex diseases such as HIV-1 infection, cancer and diabetes disease. Most of the diseases cannot be treated efficiently in terms of single gene target, because it involves the cessation of the coordinated function of distinct gene groups. Most of the cellular components work efficiently by interacting with other cellular components and all these interactions together represent interactome. This interconnectivity shows that a defect in a single gene may not be restricted to the gene product itself, but may spread along the network. So, drug development must be based on the network-based perspective of disease mechanisms. Many systematic diseases like neurodegenerative disorders, cancer and cardiovascular cannot be treated efficiently by the single gene target strategy because these diseases involve the complex biological machinery. In clinical trials, many mono-therapies have been found to be less effective. In mono-therapies, the long term treatment, for the systematic diseases make the diseases able to acquired resistance because of the disease nature of the natural evolution of feedback loop and pathway redundancy. Multi-target drugs might be more efficient. Multi-target therapeutics might be less vulnerable because of the inability of the biological system to resist multiple actions. In this study, we will overview the recent advances in the development of methodologies for the identification of drug target interaction and its application in the poly-pharmacology profile of the drug.